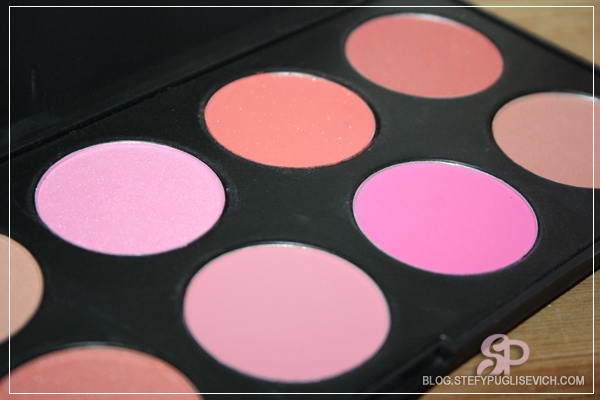 Blusher is one of those products that gives youthfulness and radiance to the face. We all love that healthy glow. I was on the hunt to try different shades and textures. When i stumbled on this eBay 10 blush palette I thought why not. Ebay is a great place to find unbranded palettes. Some palettes similar to this one in fact cant be seen in alot of online stores with their Brand name on it. 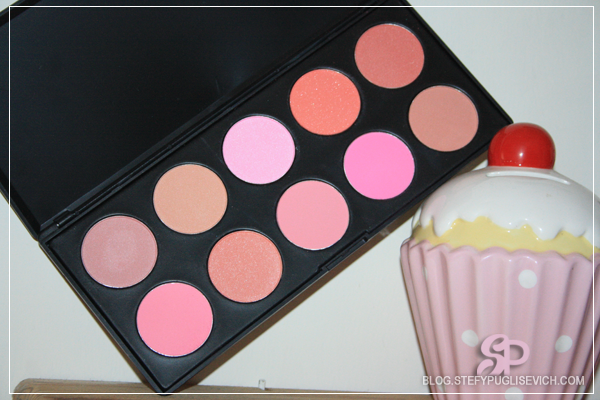 This 10 Blush Palette was bought not intentionally to use myself but to use on my Clients. After using a couple of shades I was amazed by the pigmentation and the quality that I had to purchase one for myself. You get the choice of Shimmery or Matte Shades which in my case i tend to use the matte shades mainly during the day where as for the shimmery ones are great for nights out as they tend to stand out with any highlighter and bronzer combined. For the Price for not more than €4 as I purchased it for about £3.50 for 10 different blushes to choose from is a real bargain and let's not forget the free shipping which means we are paying next to nothing for a great palette and postage. They are easy to blend into the skin and the intensity of the blushes are amazing. They are very soft and creamy and not too chalky. My top favorites have to be the 3rd Blush from the top row which is a gorgeous baby pink and the 3rd Blush from the bottom row which I tend to use on a regular basis as it is a very warm matte pink which is great to use daily for an everyday look. I have exactly the same one, and I love the selection, pigmentation and finishes!